Our Fire Truck Body Shop Services - Kards Inc.
Fire apparatus vehicles are a specialized design and configuration of an emergency vehicle. Collision & body repair requires knowledge, skill and expertise. Whether you need custom fabrication, OEM parts, body parts or overall body work and collision repairs, a general auto body shop won’t work well for your fire truck repair. The Kards Inc. team has years of hands-on experience working on fire apparatus collision repair work. Many areas of the country use a variety of liquid salts to treat roadways during periods of snow, sleet and freezing rain. They are great for roads, but rough on fire trucks. Body: ​Rust and corrosion will reduce your fire trucks performance, hindering your ability to respond quickly with reliable apparatus. Your apparatus should be reviewed and repaired on an annual basis for corrosion, wear and tear to ensure every vehicle leaves the station in a safe and effective manner. Frame: Frame is descaled and treated with a rust​ preventive coating. We understand that accidents happen, let us help make things right. From minor collision damage to complete accident restoration, Kards Inc has the staff, experience, proper equipment to repair your apparatus. There is no job too large or small for the Kards fire truck body shop team to handle. For a superior paint job on an large vehicle, it needs to be done in a proper paint booth. Kards Inc. features a spacious 45 foot paint booth that can handle most large vehicles. Its not unlikely for townships or departments to begin looking to give their used fire truck a new life, Kards Inc specializes in apparatus paint refurbishment. This is the process of repairing, upgrading, or refinishing an old units paint, lighting, decals & striping. Kards can keep your investment on the road looking better than ever! Our team of highly skilled fire truck body shop technicians has what it takes to handle even the most complicated of jobs. 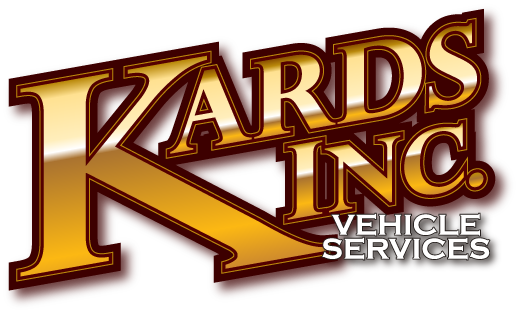 Many of the vehicles that Kards service cannot purchase off-the-shelf components. This means our in-house fabrication team has the tools and knowledge to properly repair, create or build parts from scratch if they are damaged due to the harsh weather conditions or involved in a collision. We take pride in our work and understand our name is attached at every weld, cut and hole drilled. Kards Inc can provide the full decal & stripe package for any emergency apparatus. Chevron updates typically performed during paint refurbishments and consists of removing old diamond plate fabricating new aluminum panels and installing 3M Diamond Grade stripes. Another key factor to maintain your investments are routine detailing of emergency apparatus. This will help extend the life span of the exterior of the vehicle as well as minimizing costly repairs, we offer many detailing services for paint, diamond plate and stainless/aluminum trim pieces.